Back in 1989, Ferrari commissioned Sergio Pininfarina to design a new concept car which was intended to combine modern technology with the racing spirit of 1960s barchettas. 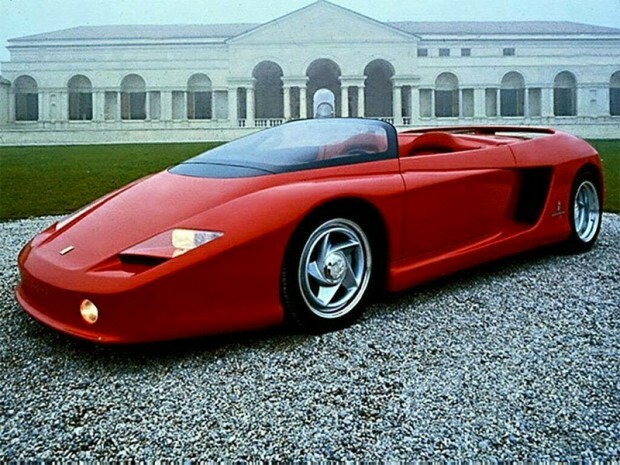 Based on the Testarossa platform, the Ferrari Mythos had a smooth, curvy body style which was a great departure from the linear and pointed looks of the Testarossa. 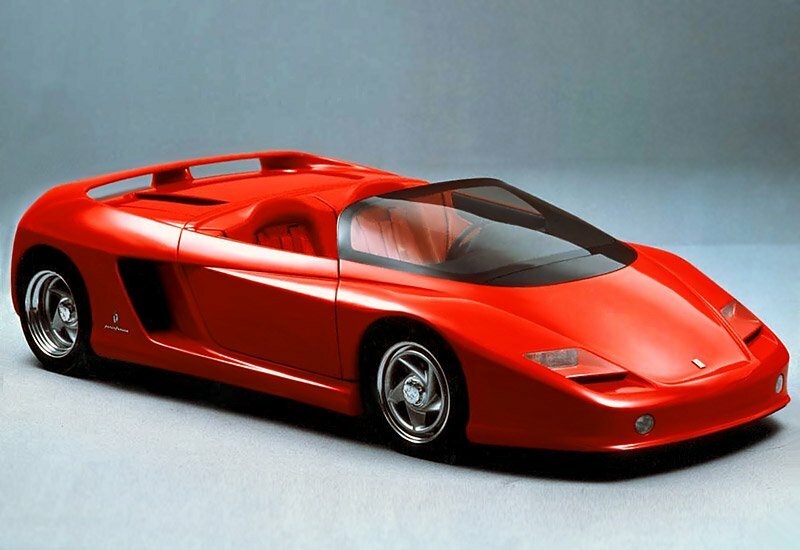 Of particular note was just how wide the Mythos was in the rear, measuring 8.2 inches broader at its rear than its nose, with massive air intakes for the engine compartment flanking the sides of the car. A large spoiler at the rear of the car could be raised up to a foot, and a retractable front lip could also help increase downforce as speed increased. The two-seater was powered by a mid-rear mounted, 4.9-liter flat-12 engine, and capable of a top speed of 180mph. 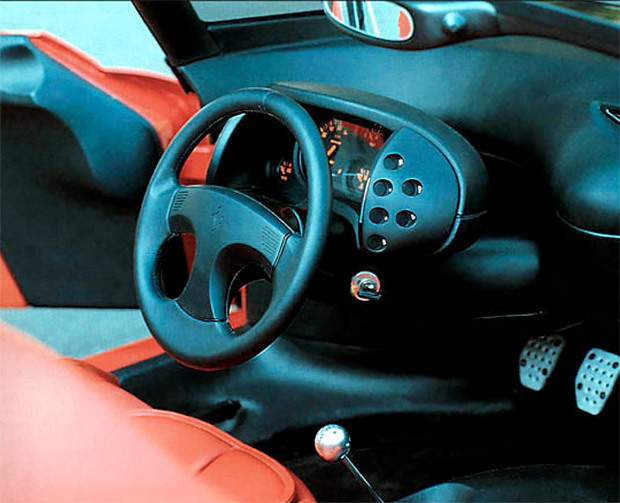 Inside, the car had a pair of wraparound seats and an extremely spare dashboard. 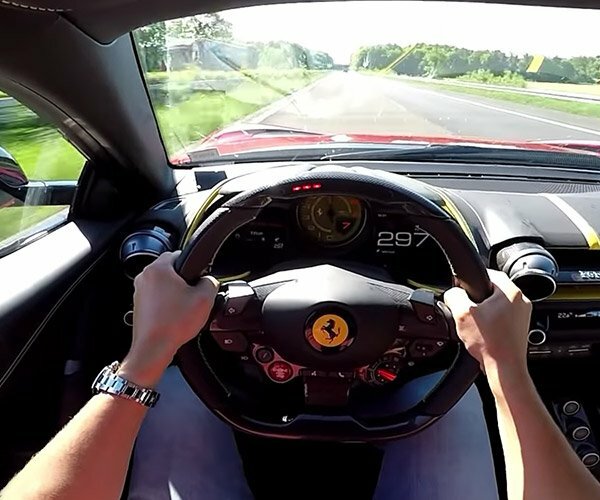 While the car was never put into full production, Ferrari apparently built at least two of the cars, which are now owned by the Sultan of Brunei. 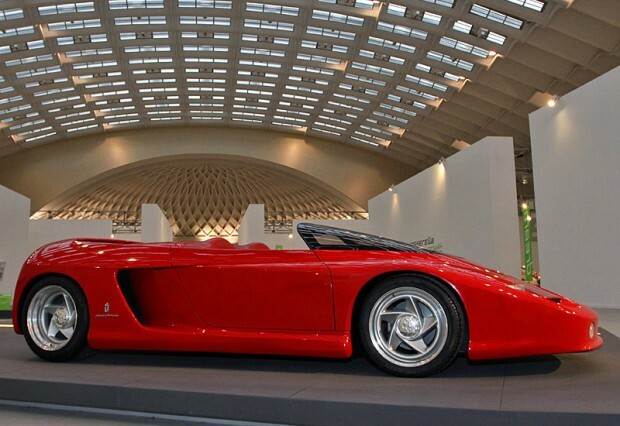 The original prototype is on display at Pininfarina’s museum in Cambiano, Italy.